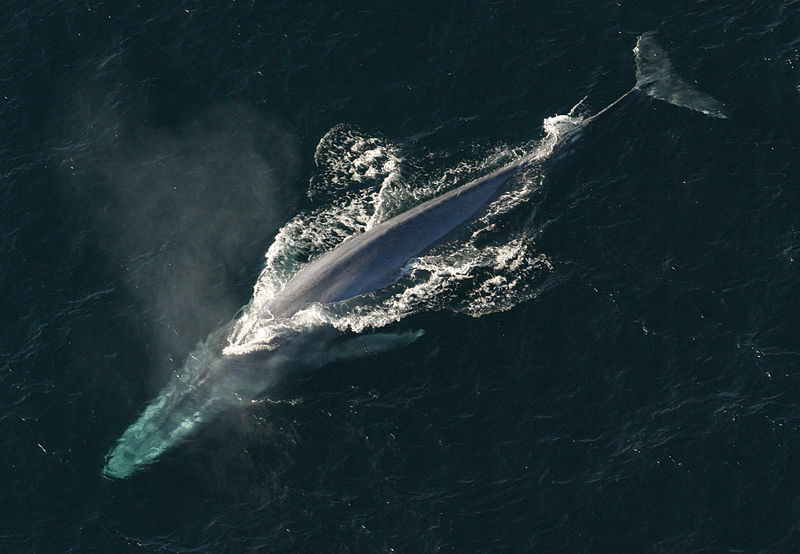 The biggest living animal is the blue whale (Balaenoptera musculus). It can reach a length of 33 metres and weigh up to 190 tons, a weight that is equivalent to 31 African elephants put together. The whale’s tongue weighs about 2.7 tons and its mouth, when it is completely open can contain up to 90 tons of food and water. Notwithstanding the size of its mouth, its pharynx is not big enough to enable the blue whale to swallow anything that is bigger than a beach ball. Its heart weighs 600 kg and is bigger than the heart of any other animal. The diameter of the aorta is 23 cm. In the initial seven months of life of the baby blue whale, it drinks about 400 litres of milk a day. Its weight increases rapidly, up to about 90 kg a day. When it is born it weighs 2,700 kg, like an adult hippopotamus.